It’s not every day one gets accepted into 31 colleges and is offered more than $900,000 in scholarships to boot. It’s definitely something worth sharing, but Kayla Willis, a senior at Westlake High School in South Fulton, Georgia still hesitated, first asking her dad if it was appropriate. “He was like, ‘You need to show the world how great you are’,” Willis told 11Alive. And her dad was right, #BlackGirlMagic should never be denied. 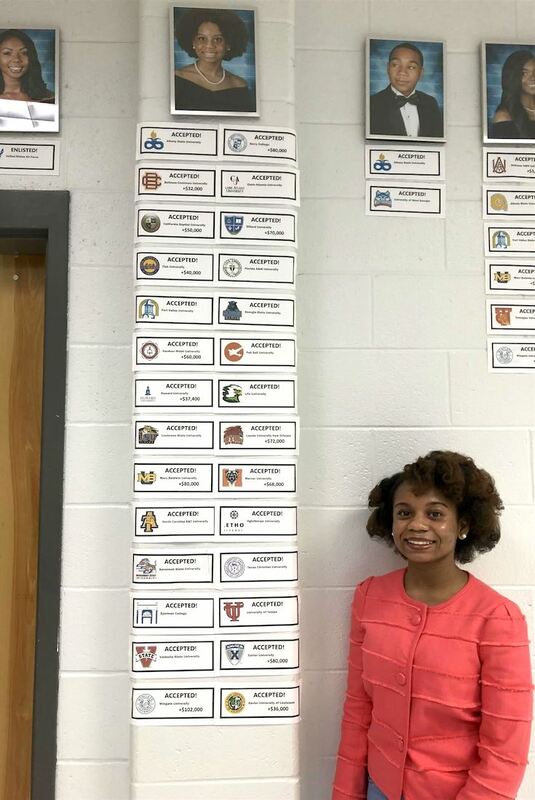 The teen ended up sharing the photo – showing her acceptances posted under a photo of her which was displayed in the senior hall in her high school – taking up quite a bit of space.